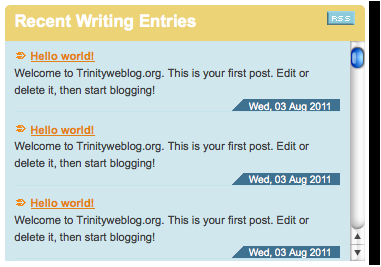 This is the box on Trinity’s site that displays a feed of the 25 most recent blog posts. Of course, the posts are all identical right now, since the blogs are brand new, and our students are still out for the summer. 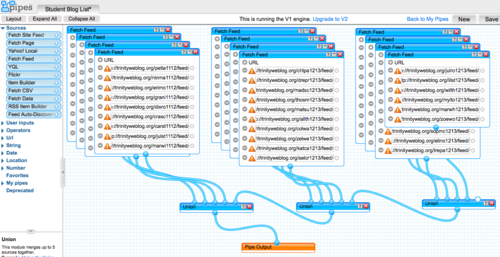 But in a couple of weeks, let the blogging begin!